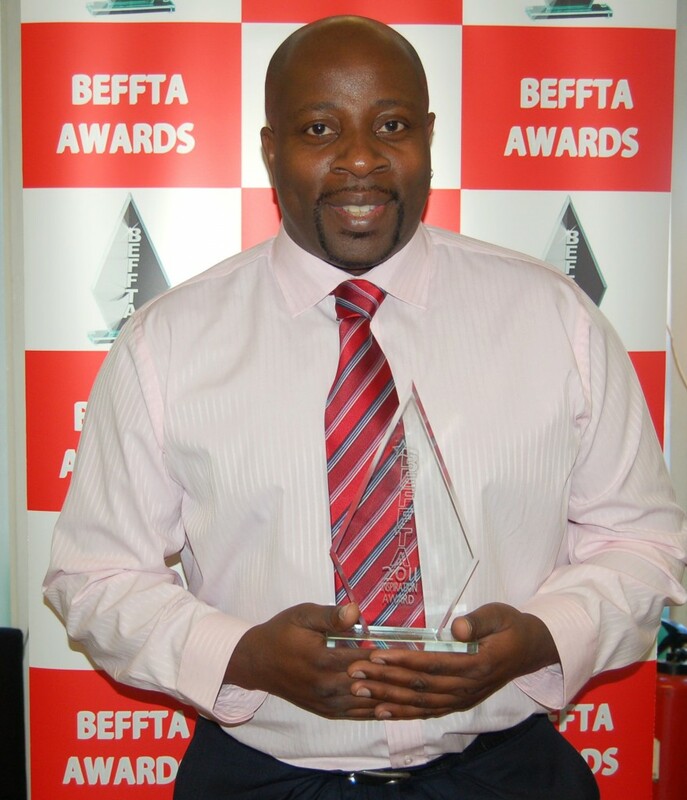 Inspiration FM and BBC Northampton radio presenter was recently honoured with a BEFFTA special award at the third annual BEFFTA awards that took place at the prestigious Light House venue in London on 22nd October 2011. The radio personality who is a well known community figure for being a voice for the under-represented in his home town Northampton has been recognised at the prestigious red carpet black entertainment, film, fashion, television and arts awards for his endless community work that helped establish the multi-cultural community radio Inspiration FM. BEFFTA founder Pauline Long delivered the award to the radio station where Mark was presenting his breakfast show. Mark said, “Inspiration FM has opened doors for many presenters that have gone to the next level to work on some national radio stations like Kiss fm, BBC London, Channel 4 just to name a few. I do what I do for the community for the love of it, I like to see people excel and I didn’t expect to receive such a prestigious award, this award is for everyone that walked the journey with me to fight for Inspiration FM, the volunteers, family, friends and the listeners who have made the radio popular”. Catch Mark Dean on BBC radio Northampton every Friday 7pm presenting Atlantic Soul and Sundays on the Inspiration programme from 4pm.